California prosecutors have announced that a task force will investigate the Santa Anita Park horse racing track after 23 thoroughbreds have died since December. 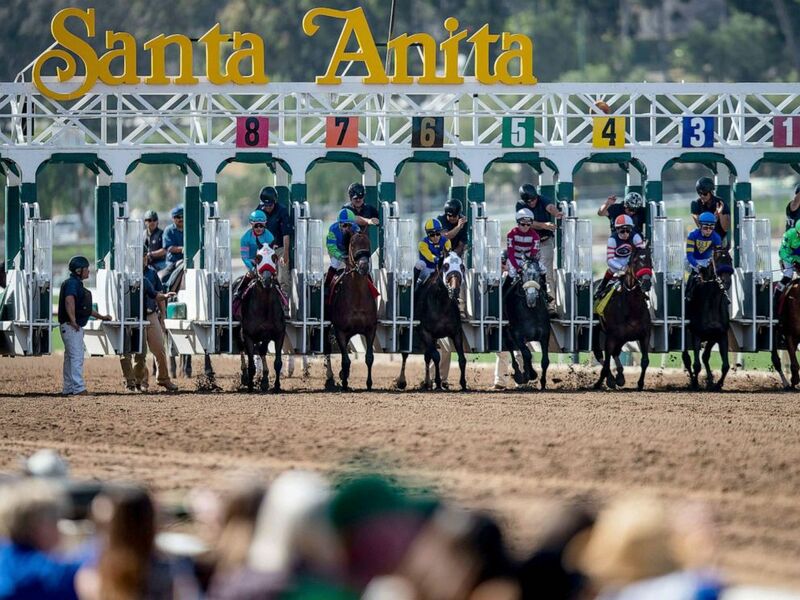 Los Angeles County District Attorney Jackie Lacey said in a statement that investigators will determine "whether unlawful conduct or conditions affected the welfare and safety of horses at Santa Anita Park," which is located in Arcadia, California. Officials at the park began testing the track's soil in February after 19 horses died. The region had experienced an excess of rain and frigid temperatures in the months prior. 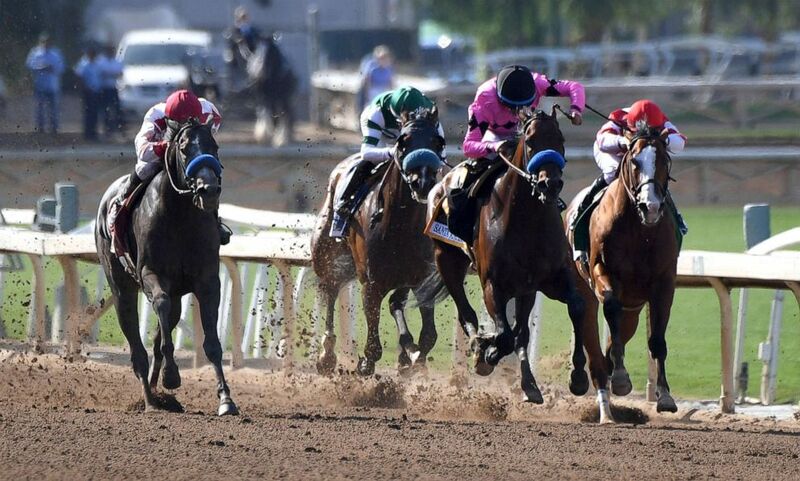 Roadster, right, with jockey Mike Smith, heads to the finish and the win in the Santa Anita Derby horse race at Santa Anita in Arcadia, Calif., April 6, 2019. The track has closed and reopened multiple times as the death toll continued to climb. The 23rd fatality occurred on March 31 when one of the horses died while coming down the hillside turf course. Racing has been suspended on that portion of the track, Mike Willman, director of publicity for Santa Anita Park, told ABC News, but racing was not suspended after the latest death and is scheduled to run until June. Prosecutors have been working with the California Horse Racing Board to monitor the track for the past month, Willman said. "Santa Anita has, is and will continue to fully cooperate with the district attorney’s investigation," Willman said in a statement. "The Stronach Group is fully committed to modernizing our sport in a way that prioritizes the welfare and safety of horses above all. We will work with anyone—including the district attorney’s office—that share our commitment to this cause." The field for the 6th race breaks from the starting gate as fans look on at Santa Anita Park, March 29, 2019, in Arcadia, Calif. The California Horse Racing Board voted on March 28 to limit whips and medications on racing day. Santa Anita Park announced on March 14 that it would enact a "zero tolerance" policy for the use of medication on racing day in the wake of the "heartbreaking" deaths.